In practice, of course, car manufacture is not so simple. When you get to grips with your first factory design, it certainly will not feel in a state of pure flow...or profit for that matter. Making a handful of built-to-order cars and breaking even is one thing...but competing with the big multinationals and churning out thousands of cars for the mass market is a whole new ballgame. 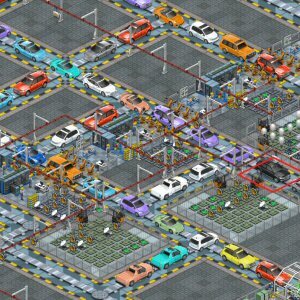 Production line is the new car factory management/simulation/tycoon game from Positech games, the developers of Democracy & Gratuitous Space Battles, and publisher of Big Pharma. This game is designed to appeal to the efficiency geek in all of us, the person who cannot help but organize things for maximum performance; the closet entrepreneur; the stats-geek; players of games like Factorio and Sim City. Is that you? If so...welcome to your dream game (we hope!). "I started it up, played for a while and thought "those were two nice hours of fun, time to do something else". but then i was shocked to see eleven f**king hours had passed. it's been years since a game did this to me. i regret nothing." - Alpha tester. 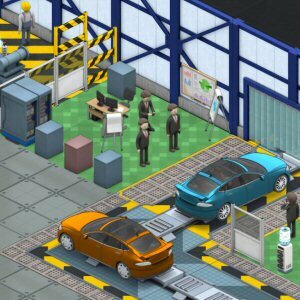 The main gameplay objective of Production Line is to design and build your car factory using the same approach discovered by Henry Ford when building the original model T car. Ford's system became a blueprint for the assembly line revolution, and is still used in high-tech factories today. It is based on the principle of dividing a complicated task (such as building a car) into ever smaller, ever more defined, even simpler tasks which will yield more efficient production performance and therefore cheaper cars. 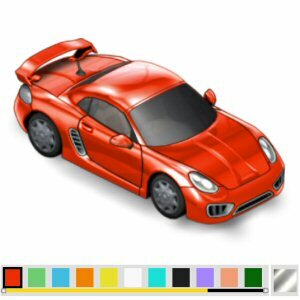 To 'win' in Production Line you need to be able to seek out and fix inefficiencies in a vast production line that snakes with carefully planned precision around a colossal car factory. Production Line is now on sale! Order the game today direct from us if you can which is how we get the biggest cut of the sale price (you still get a steam key). Click the buy-now button at the top of this page to get started. We WELCOME feedback, ideas and opinions on the game! Copyright © 2019 Positech Games.